Advisory Neighborhood Commissions (ANCs) are the closest form of local government to D.C. residents and exist to advise D.C. government on a wide range of issues affecting their neighborhoods. ANC 6B serves southeast Capitol Hill, which is divided into 10 single member districts. 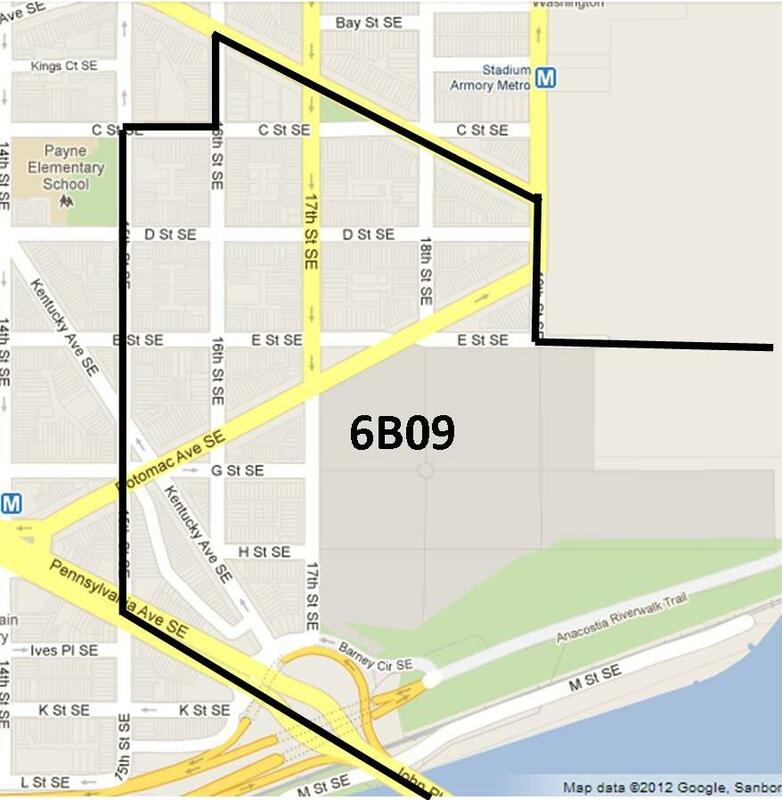 I represent Single Member District 6B09, which is roughly bounded by 15th Street SE on the west, Pennsylvania Avenue SE and Barney Circle SE on the south, 19th Street SE on the east and Massachusetts Avenue SE in the north.